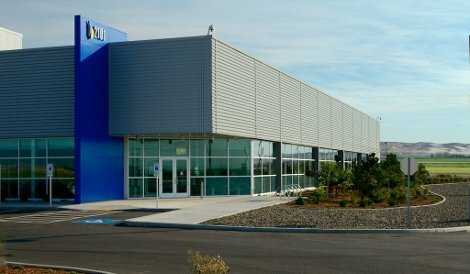 Vantage Data Centers, a Santa Clara, California-based data center operator, has completed construction and commissioning of the first data center on its Quincy, Washington, campus for an enterprise customer, whom it did not name. The campus features 68 acres of land, master planned for four data center buildings, totaling about 529,000 sq ft and 55MW of critical IT load. Designed together with the enterprise customer, Vantage's first data center in Quincy will support up to 9MW of critical IT load at full capacity. The facility is located on 25 acres of land. Vantage has applied for and anticipates receiving LEED Platinum certification for the facility from the US Green Building Council. The project has also received the Uptime Institute’s Tier III certification for both design documents and constructed facility. Its energy-efficiency features include a custom-developed indirect evaporative cooling system, designed to eliminate impact from outdoor conditions through a closed-loop delivery infrastructure, EPA Tier 4 generators that reduce emissions by 90-95%, as compared to traditional generator deployments, and LED site lighting designed to reduce energy use. Vantage has retained 43 acres of additional land in Quincy as well as access to substantial power to support the development of additional turnkey build-to-suit and power-based shell data centers for new customers.